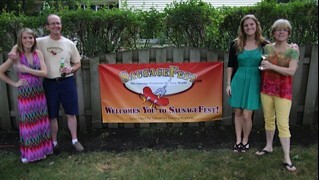 At Sausagefest.com we love our options so it follows that National Chocolate Mint Day is one of our favorite holidays! So many different ways to enjoy chocolate mint: cookies and candy and ice cream and coffee and even martinis! My mom loved her martinis. Back in mom’s day Betty Crocker didn’t offer martini recipes! Maybe mom would have cooked more if she did….You’ve come a long way, Betty!